The new PanelPilot website has just been launched to promote Lascar's PanelPilot range with a modern responsive web design powered by our bespoke content management system. Having a mobile and tablet friendly website is becoming more important every day with the ever increasing amount of devices on the web. 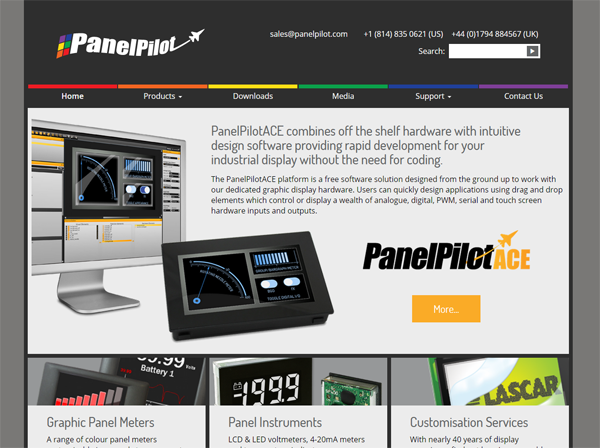 Based in Whiteparish, just outside Salisbury, PanelPilot offer a range of graphic panel meters and panel instruments combined with their intuitive custom software to give their clients a great level of customisation. If you are interested in a modern responsive website, contact Webbed Feet UK today.